Every kid needs nature. Camp Fire gets kids outdoors. Check out our programs to find out more about how we connect Central Texas youth with nature. 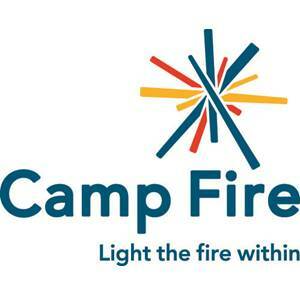 Camp Fire is one of the nation’s leading youth development organizations. We are an award-winning, non-sectarian, all-inclusive 501 (c) (3) founded nationally in 1910. Beginning as Camp Fire Girls, Camp Fire expanded its reach in 1975 to serve both boys and girls. Camp Fire Balcones Council, the local Camp Fire council, was chartered in 1966, and engages young people in Central Texas in educational, service learning opportunities with hands-on experiences in leadership and outdoor skills. The Council’s vision is that local children and youth are highly connected to, committed to and capable of preserving the natural environment; comfortable and at home in outdoor settings; confident and caring leaders among their peers; and, achieve their fullest potential as lifelong learners and positive influences in their homes, schools, neighborhoods and communities. (1) Develop knowledge, skills and positive values in small groups with their peers and competent adults. (3) Assume and maintain responsible leadership roles within their schools, families, neighborhoods and broader communities. Between 2006 and 2012 youth participation in all Camp Fire programs increased from 290 to 2,926. More than 70% of these youth are from low-income families and considered at-risk for engaging in risky behaviors and not succeeding in school. These children attend Central Texas’ most underserved schools in Manor, Austin, Pflugerville and Del Valle Independent School Districts where Camp Fire focuses its After School program efforts. Today’s kids spend an average of 7 hours per day engaged with media and only 7 minutes in the outdoors. A child is six times more likely to play a video game than ride a bike. It is no coincidence that childhood obesity in Texas has doubled in the last 20 years. Now more than ever, Camp Fire is needed to help our children be healthier, happier and smarter.